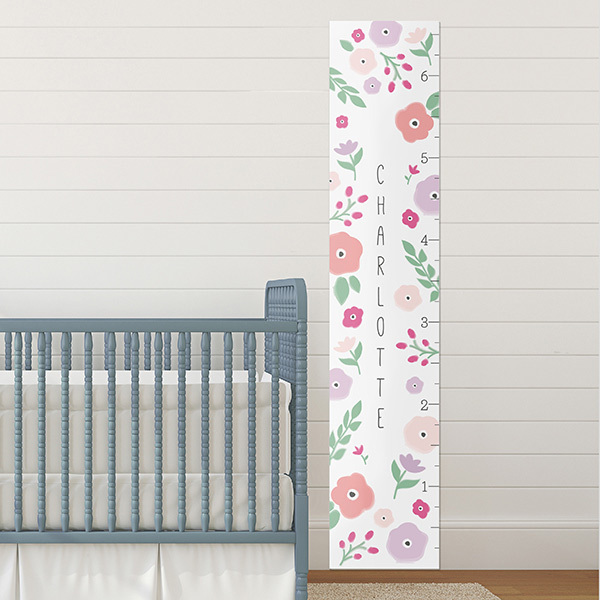 Pretty, colorful posies in shades of lavender, pink, green and white are the perfect thing to adorn a personalized growth chart. Baby Aspen's Pretty Posies flower themed growth chart can be personalized with your little girl's name and is great for milestone photo-ops. Flower power! 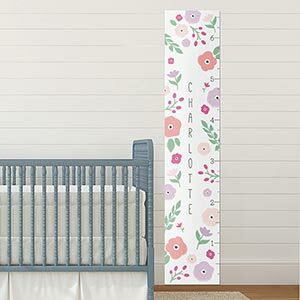 Pretty Posies themed growth chart features a lavender, pink, green and white color palette with flowers throughout the design. Name personalization is vertically aligned in center of growth chart; includes up to 12 characters. Growth chart measures up to 6'5". Instructions included for hanging/displaying growth chart.